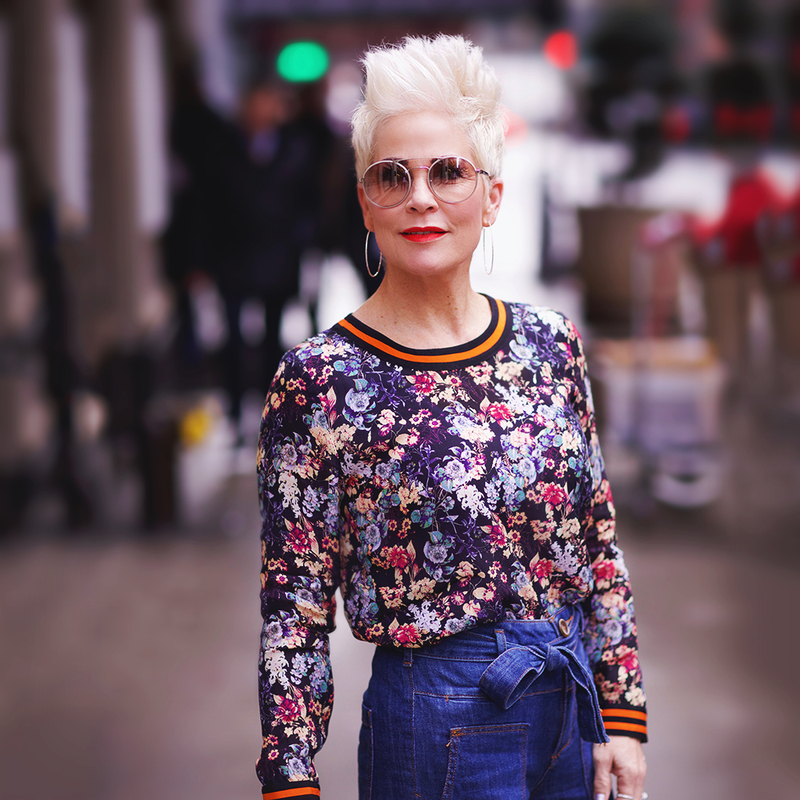 This is FOR SURE my favorite floral top EVER! Why? Because it has stripes too!!!! I’m such a fan of floral and such a sucker for stripes….and when the two come together?!!! IT IS SO GOOD!!! I love the comfy pull-on styling too! This top is one you could wear ANY season and the silky fabric makes it really easy to layer under or over, or both!!! I’ve worn it here with my high-rise flared jeans…..and obviously BEFORE my pink hair. However the other day, I did wear it with my pink hair and it actually looked really cute! Love the top! It looks so comfortable. A great piece as we transition to spring!!! Love it – I know I’m a day late but…the link is not working. Shauna, I always love your great personal style. You always find the best unique pieces and put together effortlessly. As for this outfit, I am in love with those wide leg jeans. They really give me retro 70’s feels, especially with that floral top.